Yes, I know that Pancake Day was last week, but I'm here to tell you that pancakes (well, hotcakes actually) are forever, not just for Shrove Tuesday. 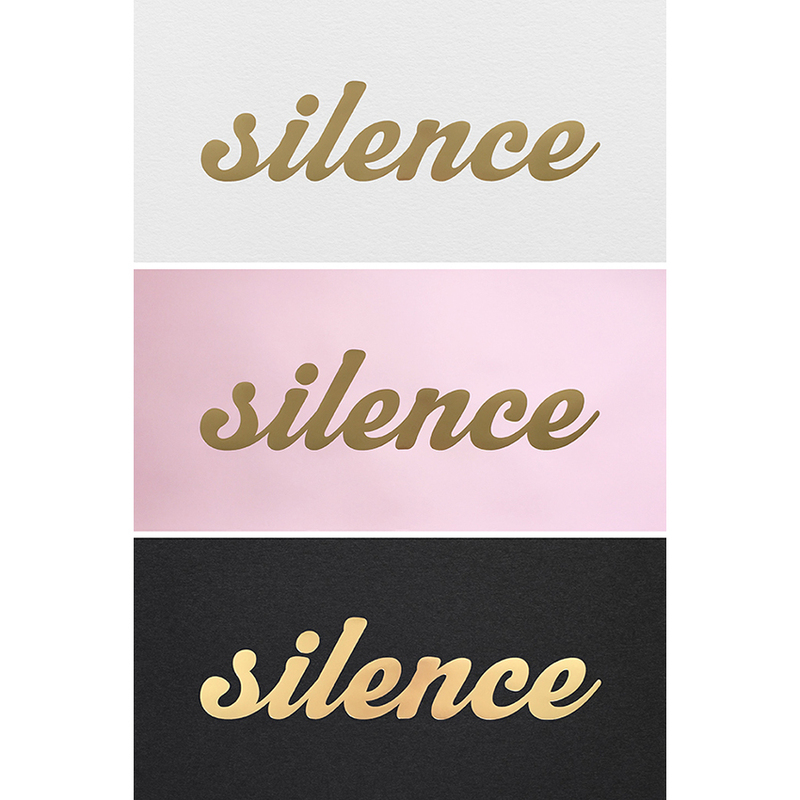 However, if you only indulge in pancakes once a year (and if so, what's wrong with you?? ), you might want to bookmark this post for next year, because let's face it, we'll probably all be gluten free by then. I'm by no means a chef, but I am a big foodie, and I'm trying to drastically reduce the amount of gluten in my diet as I know I feel so much better without it. Making pancakes for my children several times a week (I know, mum of the year) was getting the better of me, so a while back I decided to make them gluten free. They can't tell the difference, so it's a win-win situation - I get to eat them without feeling guilty, and I'm also reducing the gluten in their diet which pleases me greatly. 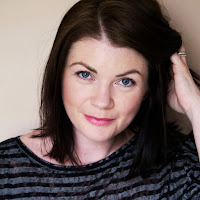 My friend Demelza who used to own a total gem of a café around the corner from my house until she and her family moved to Sydney just over a year ago, announced last week that she'd launched her blog A Harvest Of Love. Both Dememlzas partner and eight year old daughter have recently been diagnosed as coeliac, so the focus of the blog is delicious gluten free recipes. Her food was always nothing short of phenomenal, so I know that anything that she posts will be amazing (not food that is gluten free and tastes okay, which I think is often the case with gluten free recipes). So do tune in! Anyway, I digress. Demelzas first post was a gluten free adaption of Bill Grangers Coconut Bread from his Sydney Food book, a cookbook that remains one of my all time favourites, despite being nearly fifteen years old now. That guy was seriously ahead of his time food wise. I made it within 24 hours of her posting it - I was that excited - and it was delicious, as I knew it would be. The reminder of Sydney Food, got me reminiscing about the good old days, having long, hungover brunches with friends at one of Bills cafés in Sydney (I was born in New Zealand, but grew up in Sydney and lived there until I met my husband and moved to the UK in 2002). My favourite thing on the menu was the Ricotta Hotcakes served with banana and honeycomb butter. Yes, really - so good! They're still on the menu all these years later, and they're also served in his Granger and Co restaurants here in the UK. I really wanted to make them, forgetting momentarily as I often do that they're not gluten free, so I thought I'd see if a straight switch of self-raising gluten free flour for the plain flour and baking powder would work for a gluten free version, and it did. Result! I'm always a bit cautious with doing swaps like that, as I don't like the waste if it goes terribly wrong, but I guess it's trickier in proper baking, where it can totally ruin a recipe, than in things like pancakes. So I'm sharing two recipes below. One is my standard gluten free hotcakes which we tend to have several times a week, and for the more decadent days, the ricotta hotcakes, which are totally worth the extra bit of faff. Also, with the added protein in the ricotta, on top of the eggs, they're practically health food, right? Measure flour into a mixing bowl. Break eggs into a measuring jug, gently whisk, then top up with milk to just below the 350mls mark and whisk to combine. Pour the egg and milk mixture into the flour whilst whisking to form a smooth batter. At this point I like to transfer the finished mix back into the jug, making it easier to pour into the pan, but that's personal preference obviously. Melt a little butter in a frying pan over low to medium heat, add batter and cook for a few minutes each side. I use a small frying pan to make these (19 cm diameter), and just pour the 'right' amount to fit the base of the pan. You can use a larger frying pan and spoon in approx. 2-3 large tablespoons of mixture per hotcake. These take a little longer to cook than standard pancakes due to the thicker mixture and the gluten free flour. 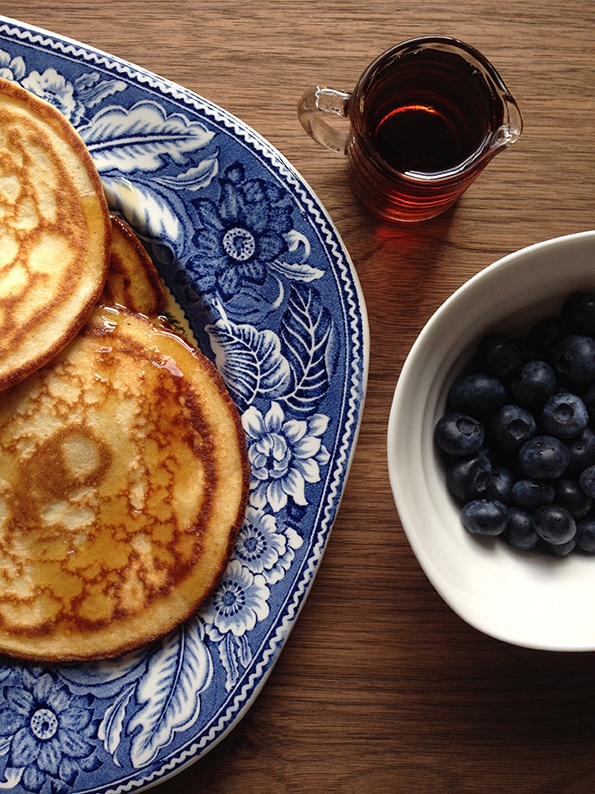 Serve with whatever you want, or my favourite - fresh blueberries and real maple syrup. These are the perfect weekend treat, for when you (might!) have a little more time. 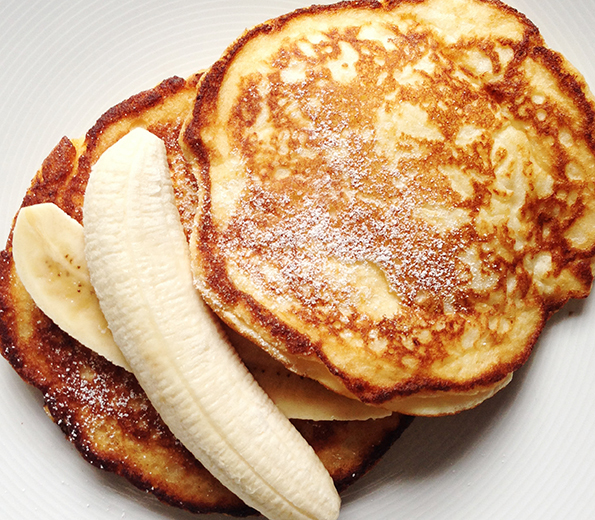 Adapted from Bill Grangers Ricotta Hotcakes from Sydney Food. Put ricotta, milk and egg yolks into a large mixing bowl and whisk to combine. Add the flour and whisk until just combined. Whisk eggwhites in a separate bowl until stiff peaks form, then fold the egg whites into the batter with a large metal spoon. Melt some butter in frying pan and spoon 2 tablespoons of the mixture per hotcake into the pan. Don't cook more than 2 or 3 at a time. Cook over low to medium heat for 2-3 minutes each side until golden and cooked through. Place all ingredients in a food processor or blender and blend til smooth. Spoon onto clingfilm and shape into a log - chill for 2 hours. 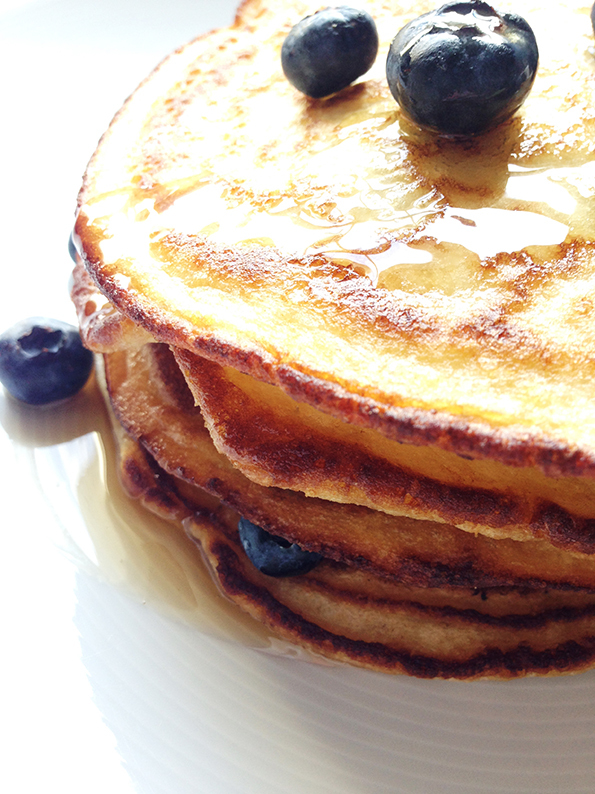 Cut thick slices and serve between the hotcakes. Store leftovers in the freezer. Or check out this rather amusing You Tube video of him making his Chocolate Honeycomb Butter. Oh yum. Let me know if you make any of these. I promise you won't be disappointed. Ohh I will try the ricotta recipe soon, boyfriend love my gluten free pancakes, poor man...so I will give him this ones for his approval. Fancy a trip to Peckham? I moved to a studio space, nothing fancy, but at last I have managed to take the business out of the house, which feels amazing! !